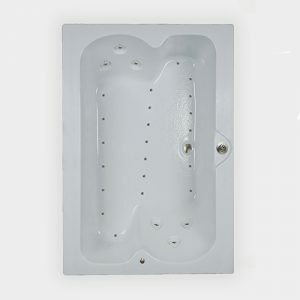 The only jacuzzi style air bath with a special built in pedicure area for the feet. The pedicure foot well can be filled in less than 2 minutes and operated independent of the rest of the air bath. 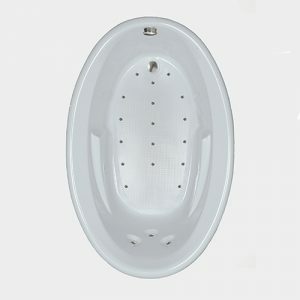 The built in acrylic seat allows the user to sit and relax getting a high pressure foot massage from four water jets without filling the rest of the air bath. 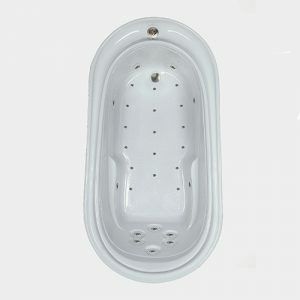 The air bath section of the tub has numerous air jets in the floor and back area to give a full body massage. 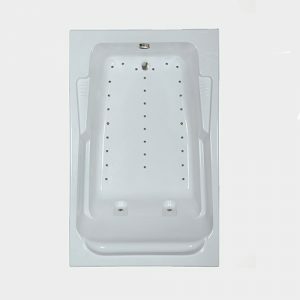 This A7244 Elite air bathtub is designed so that each massage system has separate controls, pump, air blower, injectors and water jets to give two distinct massages, water for the feet and air for the body. 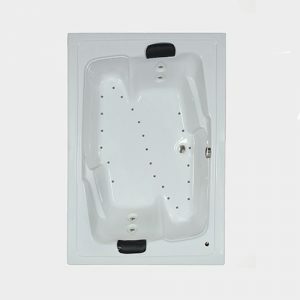 The A7244 Elite FB is the only Jacuzzi-style air bath with a special built in pedicure area for the feet. The pedicure foot well can be filled in less than 2 minutes and operated independent of the rest of the air bath. 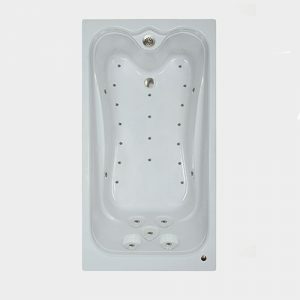 The built in acrylic seat allows the user to sit and relax getting a high pressure foot massage from four water jets without filling the rest of the air bath. 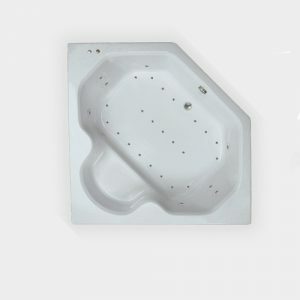 The air bath section of the tub has numerous air jets in the floor and back area to give a full body massage. 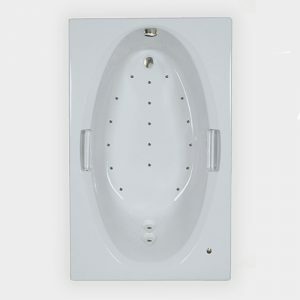 This A7244 Elite air bathtub is designed so that each massage system has separate controls, pump, air blower, injectors and water jets to give two distinct massages, water for the feet and air for the body. 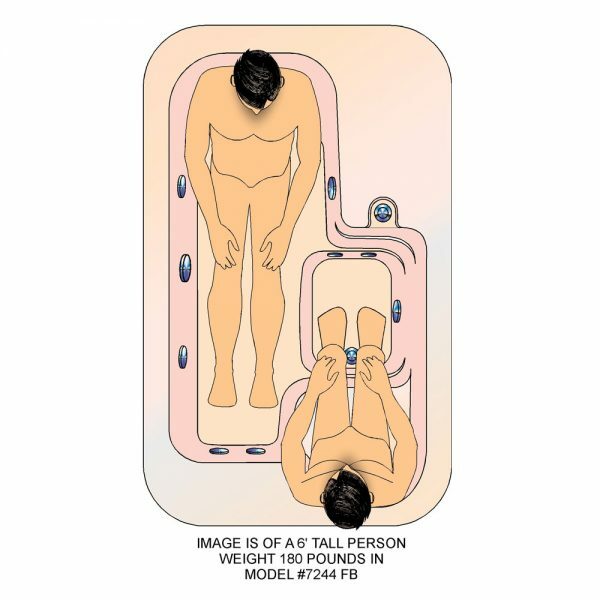 Watertech’s exclusive top overflow design, only available from Watertech, allows all Elite bathtubs to be filled within 2” inches of the top of the bathtub, insuring the bather gets a full body massage from the soles of their feet to their neck and shoulders. 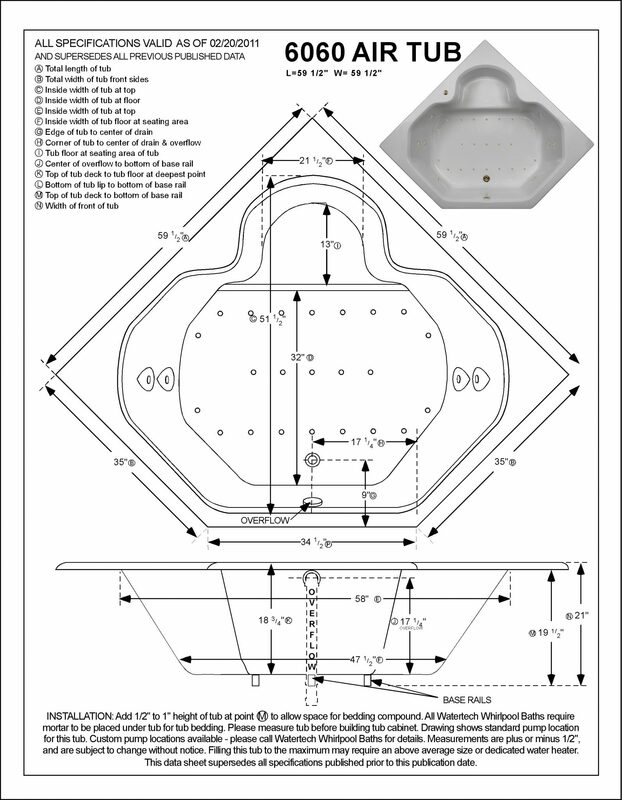 Watertech’s Elite baths have a water depth 4” – 6” deeper than a bath with the standard side overflow. This air bath has 28 watertight air injectors with 196 air ports. Each injector has an integral check valve that insures water never gets past the injector into any part of the air system. 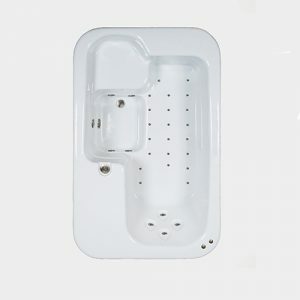 We highly recommend anyone purchasing an air bath review the differences between baths with air injectors and other manufacturer’s drilled holes and channel system air baths. Our product catalogue explain the numerous differences between air baths with air injectors and air baths with the drilled holes channel system. Watertech is the only manufacturer that places air injectors (jets) in the floor and wall of the air bath to provide a complete body massage. All Watertech air baths are constructed with a galvanized steel base (no wood – no plastic) to insure the floor of the air bath will never flex or warp. 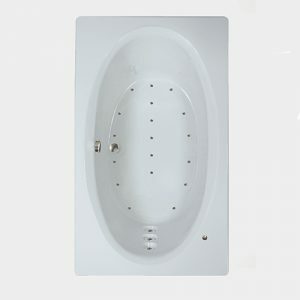 There is a Lifetime warranty on the variable speed heated air blower and the 72”x 44” acrylic bathtub shell. Any condensation that might form in the air lines during operation is dried 20 minutes after the air bath is emptied because the heated blower automatically comes on for several minutes to dry all the air lines. Manifold System: Manifold contains check valve protection. Water never enters any part of the air system. Tub shown with optional polished brass injectors.